With all those credentials, you’d be made not to include this leafy green in your diet regularly. Pop a large pot of well-salted water onto boil. Remove the thick stems from the kale leaves and shred the leaves. When the onion is almost cooked, add the pasta to the pan of boiling water and cook until al dente, adding the greens to the pot of water when the pasta has about 3 minutes left. 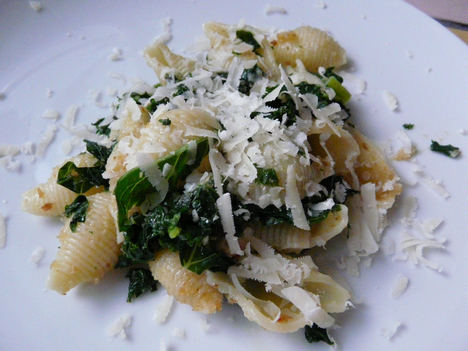 Drain the pasta and greens and toss into the frying pan with onions, chilli and garlic. Add more seasoning to taste, then serve with a good drizzle of olive oil and lots of parmesan cheese.